Windows Vista Home Premium (HP) is a more feature-packed Windows Vista flavor when compared with Windows Vista Home Basic, especially in term of digital entertainment experiences and functionality. Vista HP is intended for home advanced computer usage. It features additional Windows Media Center, Windows DVD Maker, Windows Movie Maker HD, utilities for projection and presentation, ShadowCopy, SlideShow, some premium games and Windows Aero. More about features of each Vista editions here. Same with Windows Vista HB, you cannot perform in-place clean installation of Windows Vista HP if you purchase an upgrade license instead of full license key, but you can now upgrade from Windows XP Home or Media Center edition. More features and hence Vista HP is costlier. CNet (link dead) reviews Windows Vista Home Premium and concludes with a very good editors’ rating of 7.4 out of possible 10.0 that Windows Vista Home Premium does improve some features within Windows XP, has fewer system crashes than Windows XP and offers better built-in support options. But the downside is that it does not put Search on the desktop, has no new software yet written exclusively for Windows Vista, optimized only for the Microsoft Windows ecosystem, has Tablet PC support which is unnecessary, while fax and scan support missing, and there are too many editions of Windows Vista. 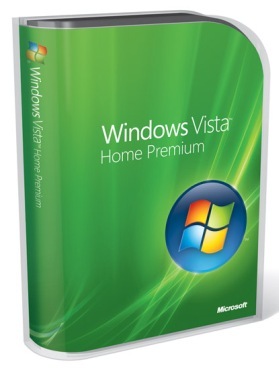 Windows Vista Home Premium is essentially warmed-over Windows XP Home Edition. If you’re currently happy with Windows XP SP2, we see no compelling reason to upgrade. On the other hand, if you need a new computer right now, Windows Vista Home Premium is stable enough for everyday use.